Investors today can seek to express ideas on the silver market through a number of different channels. One way used includes buying physical silver such as coins or bars. The futures market also offers liquid options for investors to take part in the movement of silver prices. Alternatively, investors look to buy and sell silver stocks for various reasons, most noticeably risk mitigation, ease of execution, and ability to track silver prices over the long term. Buying physical silver requires additional labor such as a transaction cost or matching counterparties. On the other hand, silver futures trading requires active management, as contracts are only valid until a certain date. These, among other reasons, are why many investors and traders are looking to silver stock as a way to profit from silver thesis. Let’s examine some of the top silver stocks in the market today. iShares Silver Trust (NYSE:SLV) seeks to reflect generally the performance of the price of silver. The Trust seeks to reflect such performance before payment of the trust’s expenses and liabilities. It is not actively managed. The Trust does not engage in any activities designed to obtain a profit from, or to ameliorate losses caused by, changes in the price of silver. It receives silver deposited with it in exchange for the creation of baskets of shares, sells silver as necessary to cover the Trust expenses and other liabilities and delivers silver in exchange for baskets of shares surrendered to it for redemption. SLV is not an individual company, but rather an ETF, or exchange traded fund. Consider an ETF like a mutual fund, it invests in underlying assets in order to track the performance and mimic returns of another asset class. The tremendous advantage ETF’s have over mutual funds is simple- they can be traded freely throughout the day, whereas a mutual fund is settled at each close. ETFs trade in the same fashion as stocks do, in this case, through the New York Stock Exchange. VelocityShares 3x Long Silver ETN (NASD:USLV) is another security similar to SLV, meaning this top silver stock is not a company, but rather a very close relative to the ETF described above. The key take away from this table is that this silver ETF is best used as an intraday or short-term trading vehicle. Closing prices of silver futures and can skew USLV by magnitudes that investors may not have predicted. Bottom line, this popular silver stock is not for those with weak stomachs, but can be quite rewarding for those who understand the risks. Investors and traders do not shy away from this instrument, as seen in its average trading volume of over 2 million shares. Wheaton Precious Metals Corp (NYSE: WPM) operates as a silver and gold streaming company worldwide. It has streaming agreements for 21 operating mines and 8 development stage projects. The company shows profitable revenue streams from 9 countries on three different continents, including North America, South America, and Europe. Investors looking to gain exposure to the silver market have many options, so what makes this particular stock attractive? Further analysis of WPM reveals several positive metrics one can enjoy. The company trades over 2 million shares per day, giving it ample liquidity for investors to manage positions as they see fit. This is in contrast to physical bullion, where one must line up, or discover a counterparty for their trade. Investors can freely trade in and out of the stock without the risk of pricing discrepancies. This top silver stock also offers a $0.36 annual dividend per share. This is a way that management returns capital to shareholders, though not guaranteed. In addition to ample liquidity and capital returns, WPM is covered by a number of different analysts who give recommendations on the stock, some of which are listed below in the graphic. This silver stock is in a strong financial position showing liquid cash well in excess of short term liabilities. The company is among the top silver stocks available on the market today, and is an excellent vehicle through which to express silver investment theses. SSR Mining Inc. (NASD:SSRM) engages in the acquisition, exploration, development, and operation of precious metal resource properties in the Americas. The company primarily explores for gold and silver deposits. Its projects include the Marigold mine located in Humboldt County, Nevada, the United States; the Pirquitas mine located in the province of Jujuy, northern Argentina; and the Seabee Gold Operation located near Laonil Lake, Saskatchewan. The company has a market cap, which is a measure of size relative to its peers, of over $1 billion. This makes SSRM one of the bigger stocks in the silver space. This company is a top silver stock based on its history of steadily increasing sales year over year. This, accompanied with healthy gross margins over 25%, showing SSRM’s ability to be a player in the space. The company stock trades just shy of 1 million shares a day, making it liquid enough for investors to own as much or as little of the silver stock as they wish without having to worry about moving the market. SSRM is a supply and demand focused company, as shown in the graphic below. This company offers insight into categories of supply and demand which are not industry standard. This is a small but significant view into management’s transparency into operations. Additionally, the firm shows a fairly large universe of analyst coverage. 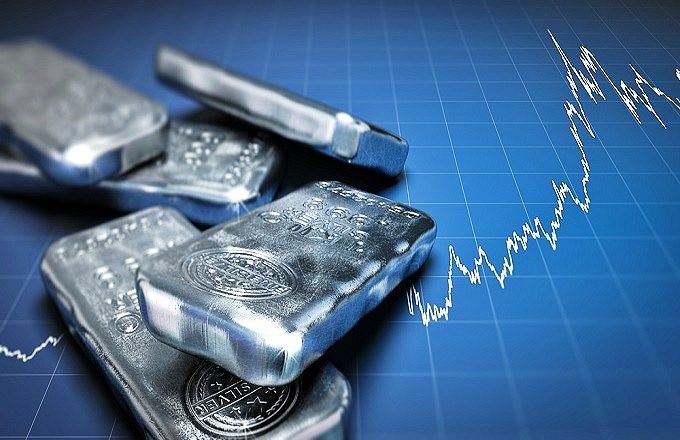 These aspects, when viewed together can provide a valuable road map for an investor to profit from silver exposure without buying physical silver. Northern Dynasty Minerals Ltd. (NYSE: NAK) acquires, explores for, and develops mineral properties in the United States. Its principal mineral property is the Pebble copper-gold-molybdenum project that includes 2,402 mineral claims located in southwest Alaska. This top silver stock trades heavy daily volume, over 3.5 million shares per day. In analyzing the company, one will notice that over 30% of the stock is owned by insiders. Investors look to this metric for an extra vote of confidence when developing silver strategies. In addition to insider ownership, the company shows institutional ownership of over 15%. The combination of insider and institutional ownership can reveal a close relationship between management and financing companies, which is certainly a testament to the longevity of the company. The company shows 100% ownership of its mine in Southwest Alaska, and provides some measurements of minerals in the area, shown below. At least 5 analysts are covering the stock, and can always be contacted for opinions. Cash and cash equivalents are important in the mining space; in the event of an unforeseen find, the company may need to move quickly to secure the metals. NAK shows on its balance sheet ample liquidity to cover such an event. We have discussed different ways in which investors can gain exposure to the silver markets in efficient ways without taking on extra risk. Market participants must now decide, would one rather invest in a silver company that can enjoy extra returns in the form of sound management or dividends, or would one rather speculate strictly on the price of silver. 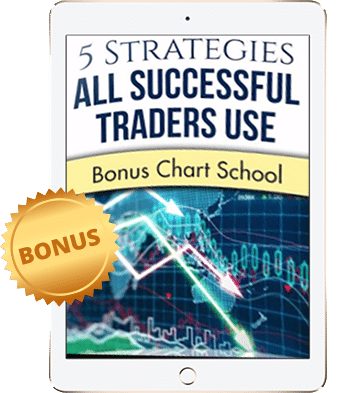 Whatever strategy one employs, it can certainly be expressed by using these top silver stocks in a variety of ways.